What to see in Rome? The only answer to this question would be “Everything!”, because the eternal city offers a multitude of jaw-dropping places, monuments, and attractions. Like cherries, a place in Rome is linked to another, so much that it would take months to visit them all. 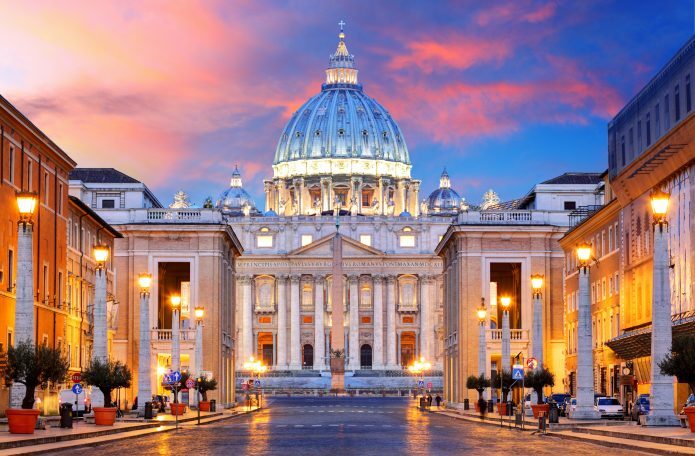 To raise you from the embarrassment of a choice in case you only have time to visit Rome in 3 days, we offer you a list of what to see: we have selected 10 attractions that are truly unmissable. 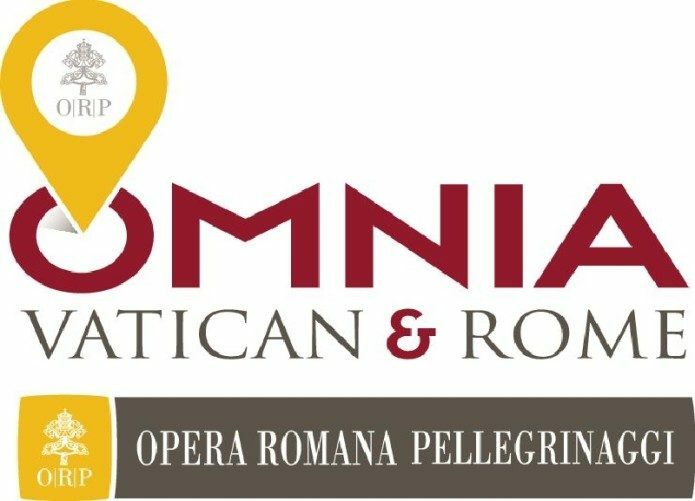 Some of them are included in the Roma Pass circuit, a tourist-cultural card that allows you to enjoy the museums of Rome and the beauties of the capital with discounts and services. 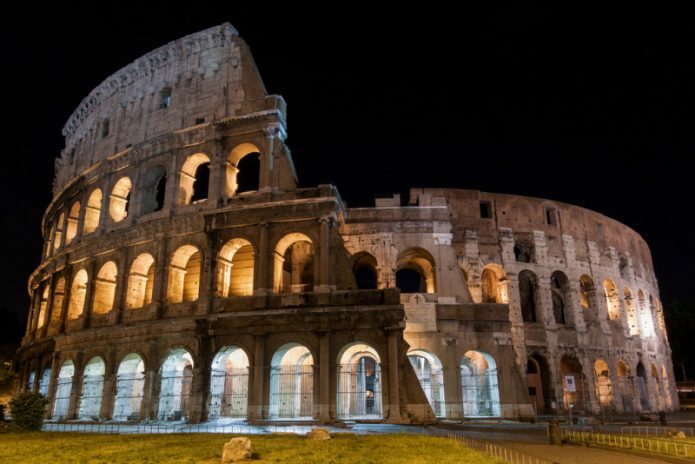 What to see in Rome: the Colosseum is more than anything else the symbol of Rome and of Italy itself. Started by Vespasian in 72 AD, was inaugurated by his son Tito in the year 80 a.d.. It could accommodate more than 50,000 spectators who came here to witness the fights of gladiators or animals. It is the largest of the Roman monuments that have remained so far and an indispensable stop for those visiting the capital.The visit of the Colosseum can be completed with a visit to the Imperial Forums that you can admire from the Alessandrina street that runs along it. 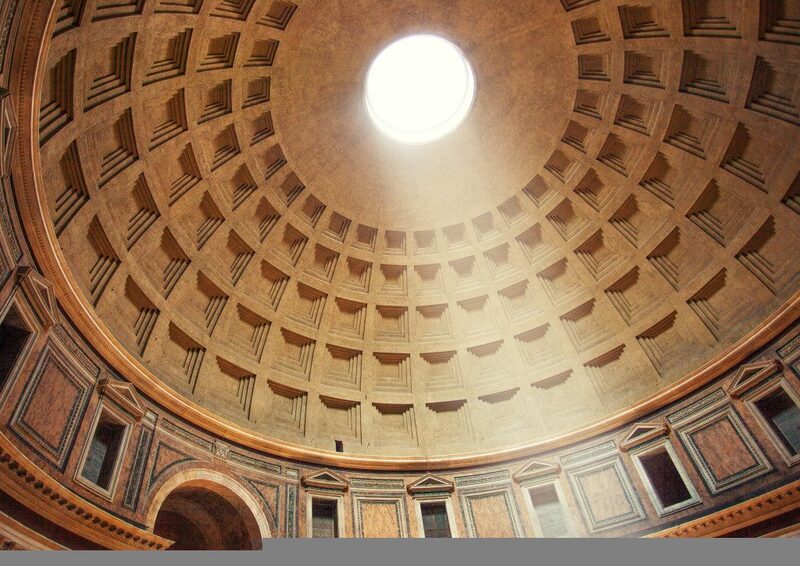 You can get an idea of how life could have been in ancient Rome. The forums were in fact the main squares of the city, where the public buildings were built, where there was the market and people were busy in business. 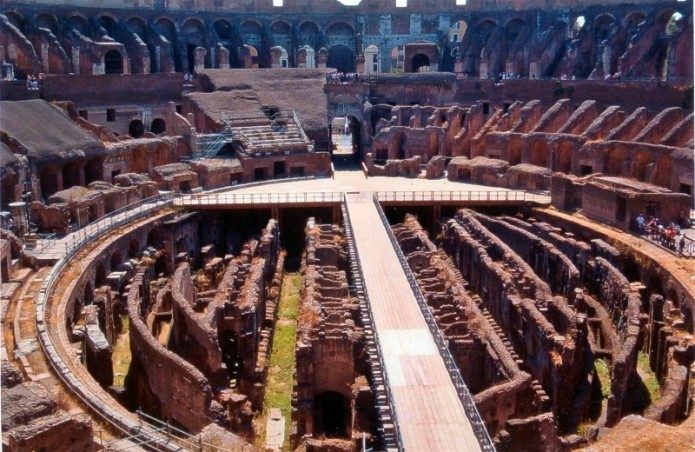 You can visit also the Roman Forum and the Palatine Open Air Museum (Museo Palatino): if you have entered the Colosseum your ticket includes also a visit to the latter described two places. Information: The Colosseum is open every day 9-17 except December 25 and January 1. 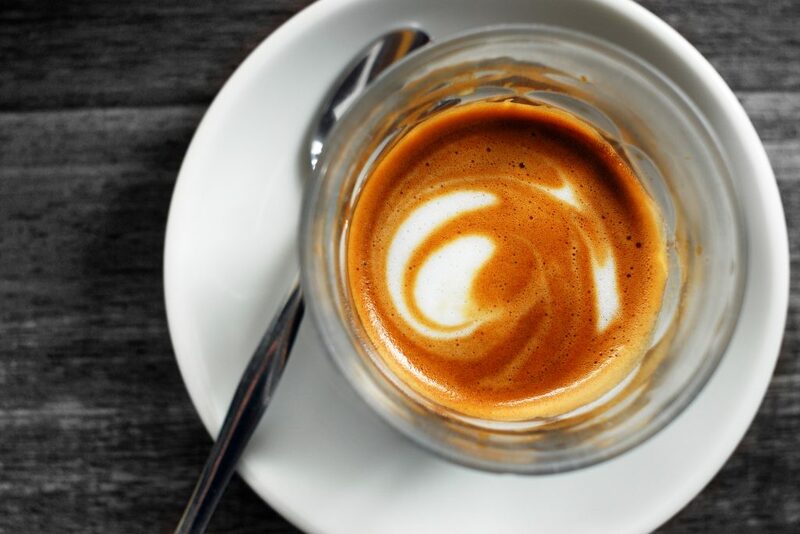 Until 15 February 8.30 – 16.30; from 16 February to 15 March 8.30 – 17.00; from 16 to the last Saturday of March 8.30 – 17.30; from the last Sunday of March to 31 August 8.30 – 19.15; from 1 to 30 September 08.30 – 19.00; from the 1st to the last Saturday of October 8.30am to 6.30pm. Last entry one hour before closing. Full ticket price € 12, reduced ticket price € 7.50, free under 18 years. Included in the Roma Pass. The interior of the Pantheon in Rome. It is a temple dedicated to all gods, and is the best preserved building in ancient Rome, that was transformed into a Christian church in 608. The Pantheon was built by Agrippa in 27 a.c., as evidenced by the inscription on the fronton. Both its height and the inside diameter measure 43.3 meters. The extraordinary dome, which represents the largest stone vault ever built, is considered the most important work of classical architecture. One of the things to see in Rome is certainly the Trevi Fountain. 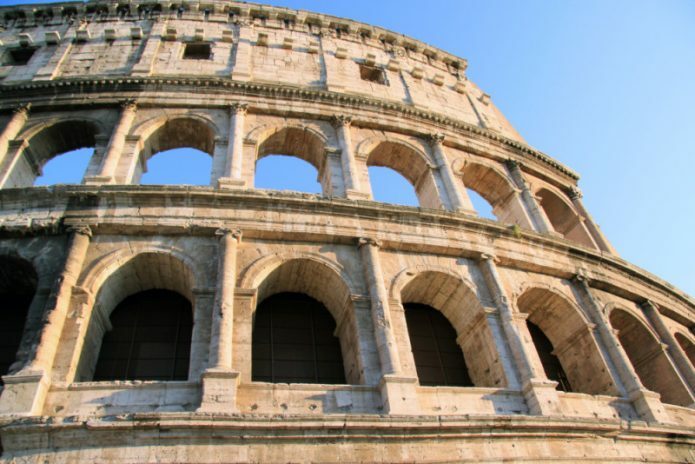 Along with the Colosseum is one of the symbols of Rome in the world. This beautiful baroque fountain, designed by Nicola Savi in 1732, occupies almost all the small square where it is located. It represents the Neptune’s chariot towed by tritons with marine horses (a wild one and a docile one) symbolizing the different aspects of the sea. It is one of the most photographed monuments in Rome. Piazza Navona, absolutely to see in Rome. It is one of the most beautiful and largest squares of the Capital, a popular meeting place for both visitors and Romans. It is built on the ruins of a stadium dating back to the 86 a.d.. and is surrounded by Baroque palaces. At the center of the square there is the magnificent Fountain of the Four Rivers, Bernini’s masterpiece, representing the Nile, the Ganges, the Danube and the Rio de la Plata. Piazza di Spagna is among the things to visit in Rome. This baroque square dating back to 1725, with its famous Staicase of Trinity of Mountains (recently restored), has always attracted tourists and travelers and is still a popular meeting place today. The boat-shaped fountain (Barcaccia) in the square is the work of Pietro Bernini, father of the famous Gian Lorenzo, and represents a sinking boat. It is one of the main places for the night life in the historic center of Rome. Among the attractions to visit in Rome you cannot miss Piazza Venezia. Connected to the Colosseum via the monumental Via dei Fori Imperiali is perhaps the most important crossroad of the city. On its sides there are Palazzo Venezia, the first great Renaissance building in Rome and the Vittoriano monument, which was built in 1885 to celebrate the unity of Italy. Opened in 1911, it was then dedicated to the unknown soldier. Information: The lifts to climb to the top of the Vittoriano are open from Monday to Thursday from 9.30 am to 6.30 pm and from Friday to Saturday from 9.30 am to 7.30 pm. The unmissable Basilica of St. Peter in Rome is located where in the year 324 the Emperor Constantine erected a sanctuary in honor of Peter the Apostle, who had been crucified and buried there.Today’s appearance is due to the Bramante project, dating back to 1506. 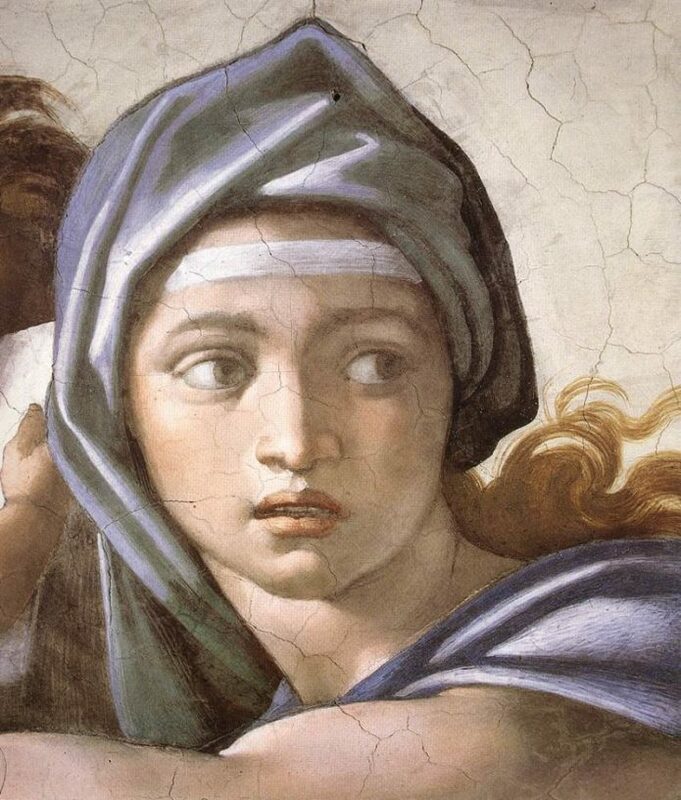 Artists such as Raffaello, Antonio da San Gallo and Michelangelo participated in its construction. The interiors, as well as the colonnade were designed by Bernini. The basilica is the largest church in the world. The entry is free. Information: 1 October – 31 March every day from 7.00 to 18.30 / 1 April to 30 September every day from 7 to 19.00. Free admission. The Laocoonte is preserved in the Vatican Museums. Among the most beautiful museum complexes in the world, they host an incredible collection of works of art collected by various popes over the centuries. 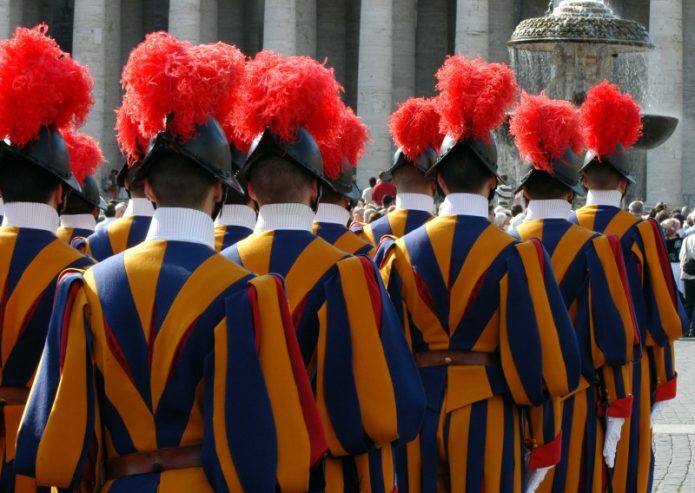 To visit them, you can make different itineraries, which all finish in the Sistine Chapel. 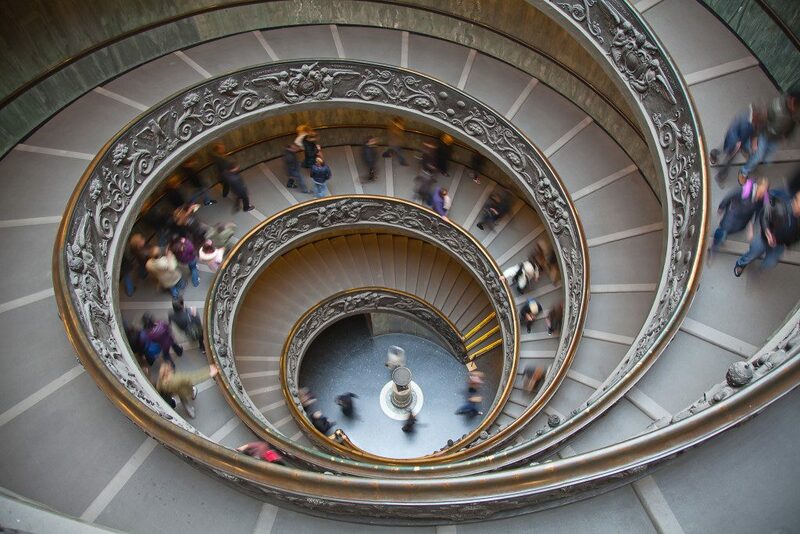 The buildings hosting the Vatican Museums stretch over an area of 5.5 hectares. Definitely to be seen are the Pinacoteca, the Pio-Clementine Museum, the Geographic Gallery, the Raffello Rooms and the Sistine Chapel. The equestrian statue of Marcus Aurelius is preserved in the Capitoline Museums. The are the world’s oldest public sculpture gallery. Created by Pope Sixtus IV in 1471, they were enriched by later popes as new statues were brought to light. The museums occupy the New Palace and the Conservatory Palace, both located on the Piazza del Campidoglio. Information: Open daily 9.30-19.30, 24 and 31 December 9.30-14. The ticket office closes an hour before. Closed on January 1, May 1, December 31. Full ticket price € 14, reduced ticket price € 12. Included in the Roma Pass. They are located in the park of Villa Borghese, the green lung of Rome, and have one of the most prestigious collections of art objects in Rome. In one place you will find concentrated works by Caravaggio, Bernini, Botticelli and Raffaello, and the famous Canova statue depicting Paolina Borghese as the winner Venus. Information: closed on Monday, Tuesday to Sunday from 8.30 am to 7.30 pm Closed on January 1, December 25. The entrance is allowed until half an hour before the closing time. Full ticket price € 11,00 (9,00 + 2,00 for mandatory booking), reduced ticket price € 6,50 (4,50 + 2,00 for mandatory booking). The cost of the entrance ticket to the museum could be increased after the amount paid at the time of booking for the opening of a temporary exhibition. Included in the Roma Pass. 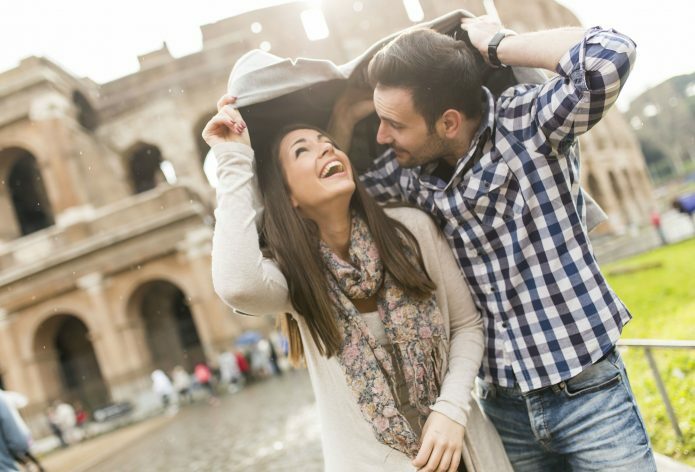 Of course, the list of what to see in Rome could be much larger, but after seeing just the 10 attractions above, you will be able to return home from your trip definitely pleased! A tour on the tourist buses in Rome can be an optimal idea if you plan to visit Rome in 3 days and you want to see all the attractions that the eternal city has to offer. 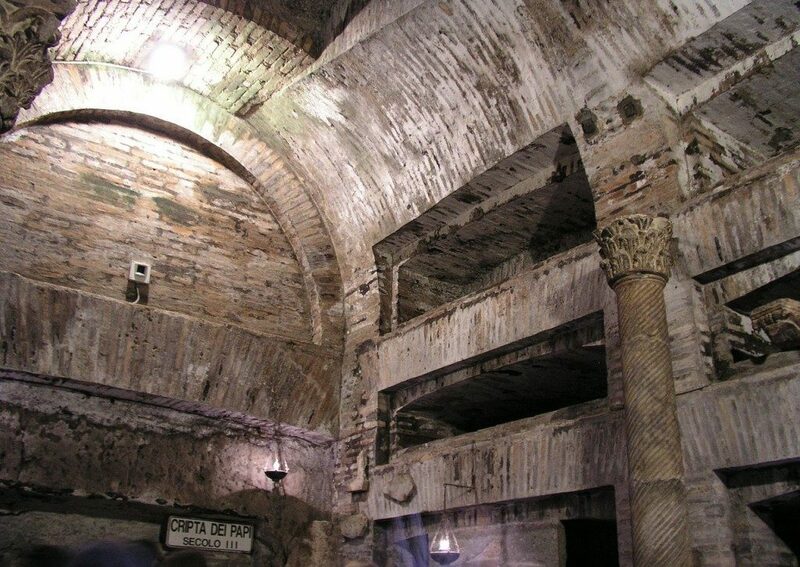 You can enjoy the main places that made it immortal while being comfortably seated listening to the explanations of the audio guide: the churches, monuments, palaces, squares and streets of Rome will no longer be a secret to you. 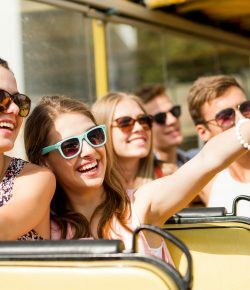 With the formula “Hop on – Hop off”, which characterizes the tourist buses in Rome, you will be able to get on and off the sightseeing buses whenever you want, so you can visit the attractions, take a break to eat something or shop for souvenirs . The offer of tourist buses in Rome is vast. So you will have no problem choosing the company that suits you according to your needs. Big Bus Tours offers scenic tours on open buses with audio guides. The “hop on – hop off bus” service allows you to get on and off the bus as often as you want within the hours of validity of the ticket. So you can visit all the attractions of Rome according to your interest and the time you have available. The buses are equipped with air conditioning. Electronic tickets will be sent directly to your Smartphone. City Sightseeing Rome offers scenic buses for a tour of the capital with audio guide and hop on hop off service that will allow you to get on and off at any of the 8 stops on the itinerary when you want and for the time that you want. The buses are equipped with free WIFI and the ticket is valid for 24 or 48 hours. Visit The Rome museums in 3 days. What to see. Discovering the wonders of the eternal city aboard a panoramic hop-on hop-off bus is ideal if you have little time available or are traveling around the capital with children. On board of the bus of the City Sightseeing Rome company, you can admire all the main attractions of Rome: the Colosseum, Piazza di Spagna, Vatican City and all the other treasures of Rome will have no more secrets for you! The ticket is valid 24 or 48 hours.